The regional leadership team is led by 10 outstanding pastor Mentor/coaches. 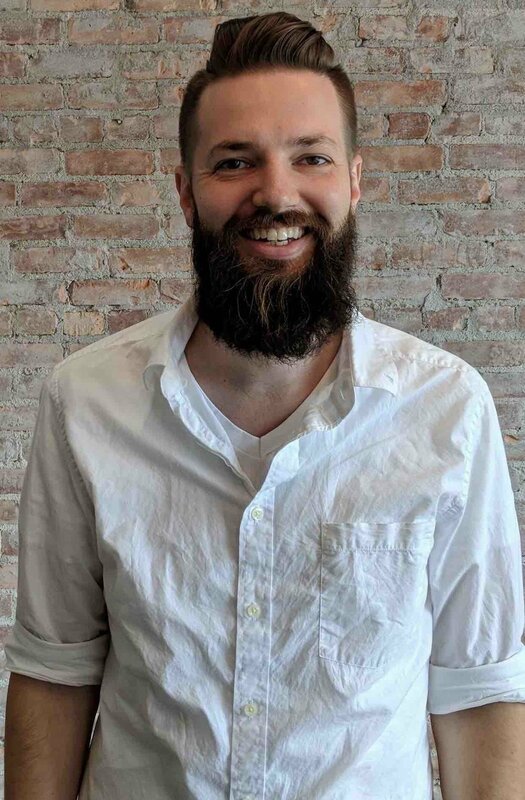 Pastor Josh just recently assumed the helm, becoming the Regional Executive Director of Open Bible East with a unanimous ratification vote from the regional ministry team and the regional ministers! He is a third generation preacher that started ministering and preaching to adults at the age of 13. At 20 years old, he planted his first church in a very rural area. That church achieved county wide influence building a strong healthy congregation with a brand new facility that ministered to the community. He went on to tackle a struggling church bringing it back to vitality, health, and fruitfulness. Pastor Josh has a true heart for pastors and loves to help them raise their own leadership quotient. He also has a heart for the local church and has a great gift mix to help churches become what God has destined them to be! Pastor Josh is full of vision, passion, fire and inspires others to greater levels of living and ministry! Family- Pastor Josh has been married for 27 years to his Queen... Melissa. He also has a 20-year-old daughter, Hannah Joy (Aka Princess) and a 19-year-old son, Caleb Joshua. Melissa, Hannah Joy, and Caleb all three assist him in ministry. Hobbies- Family, Studying the Bible, Preaching, Missionary Work (Has started orphanages in India), Wood Wittling, Hunting, Nature and anything that could be fun! Pastor George serves our Regional Leadership Team as our Church Planting Director. George is not just a theorist but is very hands-on and detail oriented. Both George and his wife, Sarah (also a credentialed minister with OBC) took the church to the streets as young adults. They started an outreach to one of the most needed parts of their city, Toledo, Ohio in 2005. The ministry was so successful that in 2013 they actually planted a church in the heart of the "Stripper" district! City Light Church is now a thriving, multicultural and multi-generational church that is growing and effectively ministering to the community. George serves and helped organize a citywide pastors council that stretches across many denominations for the city of Toledo. George has a heart for church planters and is an excellent coach and mentor for up and coming church planters! Hobbies- Roasting his own coffee beans, cryptocurrency, hyperloop enthusiast, ministry development, fishing, and local politics. 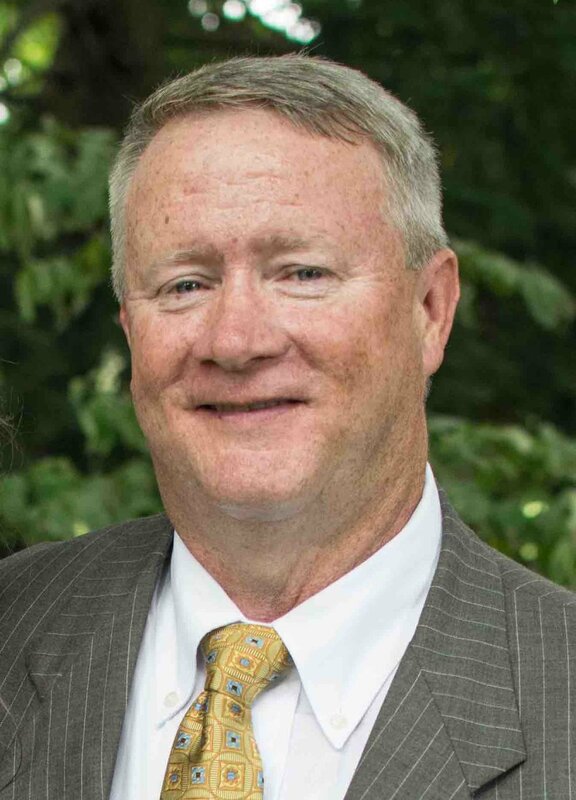 Pastor Gary serves as the Indiana-Ohio District Director of Open Bible East (South West Ohio & South Indiana). He has over 35 years of ministry experience. Pastor Gary has had the unique privilege to have served in 3 different regions of Open Bible bringing with it great diversity and experience. He has also served on the National Board of Open Bible Churches. His passion in ministry is to love God, love people, lead people to Jesus all the while equipping believers to be Overcomers. You could search the world over and not find a move lovable, upbeat, and positive example of a leader! Pastor Gary is uniquely qualified to mentor and coach the pastors of his district. One pastor in his district said, "I would follow him to the ends of the earth". That sums up pastor Gary's leadership. Family- Pastor Gary met his sweetheart Angella while in youth group and they have been married for over 45 years! They have always done ministry together as a team. They have 4 Children (Carrice, Nicholas, Nicole, & Niel) that are all involved in Ministry. Two of which are lead pastors themselves. Pastor Gary and Angie have "Lots" of grandchildren that they have the privilege of enjoying. Hobbies- Spending time with kids and grandkids. Personal hobbies are serious biking, or the two of us casually riding the bike trails in the Amish areas of Ohio, fishing, remodeling and visiting Civil War battlegrounds. Pastor Emery Barber serves as a Regional Board Member At Large with emphasis on Cultural Applications. He has 16 years of ministry experience. Pastor Emery is looking forward to serving Open Bible East as the Holy Spirit leads in creating a culture in Open Bible East that embraces all the diffrent diverse cultures represented. He pastors Shepherd's House OBC, East NY, Brooklyn, with his wife Rev. Stephanie Barber, under the covering of our Lord and Savior Jesus Christ, and leadership of Bishop Richard Vedilago. They are founders of Faith Works Christian Fellowship, an online ministry with international focus to infuse hope with the message of the Gospel of Jesus Christ. They have been blessed to be instruments of God's choosing in discipleship training, worship leadership, and media development. Pastor Emery and Stephanie have published faith media for the edification of the body of Christ that include five books, videos, and music, for the glory of God and the good of the Kingdom. Pastor Emery continues the vocation of teaching and consulting ministers, churches, as well as kingdompreneurs in the area of creative media ministry. Family- Married for _____ years to the love of his life and partner in ministry, Stephanie. They have 3 children. Pastor Roberto serves as Regional Board Member At Large with emphasis on Hispanic Ministries. He has over 38 years of ministry experience. He along with his wife Nancy Seda are the senior pastors of Shepherd’s House Open Bible Church Spanish Branch in Ozone Park, Queens N.Y., and are both fluent in spanish as a first language as well as english. Pastor Roberto brings a very unique perspective to the Regional Leadership Team as a retired NYC Correctional Officer, evangelist, and pastor of a spanish speaking congregation. He also serves Open Bible Churches as sector council leader of the national Hispanic ministry East sector which covers the east region. He is currently wrapping up his 2nd level Inste program and looking forward to doing a Master’s in leadership when finished with Inste. Pastor Roberto says "I believe that we should take in as much knowledge as we can, so we can pour that into the fellowship that we pastor. Why, because the church cannot go beyond where their pastor has not gone himself". Family- Married for 37 years to his wife Nancy and they have 2 children and 2 grandchildren. walks in the park with his wife. Pastor Lance serves as the Allegheny District Director of Open Bible East. He has over 17 years of ministry experience. Lance is a trailblazer that is not afraid to take new territory. Lance planted a church 10 years ago in Pittsburg and has now lead the church in the purchase and renovation of a big beautiful and once nationally recognized churches in Pittsburg (Dr. Martin Luther King Jr. actually preached in this church building). The new church is not only alive and growing, but is affecting the community and culture of Pittsburg. Pastor Lance has a heart of worship and leading people to freedom through the power of the Spirit. He does not know "NO" and "We Can't" as an answer! If you want something done..... Pastor Lance can do it! Family- He is married to his bride, Amanda of 12 years. They have two children. Hobbies- He loves everything tech, playing video games with his wife, and spending time with his wife and kids. Richie serves as the Atlantic District Director of Open Bible East. He has over 21 years of ministry experience. Pastor Richie "Bishop" as he is affectionally called is the "God-Father" of the Regional Leadership Team. He brings a wealth of knowledge and experience. He is a veteran of the Air Force. He is a retired NYC Cop. Then after "retirement", he took on the task and call of God to plant a church in the heart of Queens New York. That one church plant has now become 6 and counting. He is very hands-on and oversees a thriving and growing network of churches throughout New York. He is a master mentor/coach that has not just seen lots of souls brought into the kingdom, but many leaders, ministers, and pastors raised up under his leadership! Pastor Richie is committed to showing the love of Christ and the power of the Holy Spirit, building leaders and planting more churches as the Lord leads. Family- He has been married to his life partner Mayda for 32 years. They have 3 daughters (Rebeca, Racquel, Sandy), 1 son (affectionally known as “Chum Chum”), and 11 grandchildren. Hobbies- Spending time with family and taking long walks. Mentoring & raising up leaders and planting churches. Pastor Pete serves as our Great Lakes District Director for Open Bible East. He has over 22 years of ministry experience. He grew up with his father who was a pastor and a mentor to him. After Bible College, he severed under his father in law as a youth pastor in an inner-city church. The youth ministry grew both numerically and spiritually. Pastor Pete then went on to take over the church he grew up in that was struggling. The Church is now very healthy and thriving. He loves connecting with people and fighting for the underdog, blessing them, serving them, walking with them, and showing them what it means to know Christ and walk in His power. He is one of the kindest and most tender-hearted people you would ever meet, that is what makes Pastor Pete such a great mentor/coach to the pastors he serves. Family- Pastor Pete has been married to the love of his life Heather for 24 years and they are blessed with 4 beautiful daughters, one son-in-law, and a 7-pound Yorkie. Hobbies- Spending time with his family playing games. He loves preaching and pursuing the call of God. He is a wannabe athlete, lol. He loves a casual game of golf or a relaxing day of fishing. Recently he has gotten the bug to run. His goal is to complete a half marathon in under 2 hours before He turns 50! Pastor Glen Gram serves as our Mid-Ohio Director for Open Bible East. He has over 12 years of ministry experience. Pastor Glen and Bernie, with four other couples planted Crossway Community Church a little over 11 years ago. They minister to the Village of Kirkersville, OH. He has served on mission trips to Columbia, Uganda and Haiti. 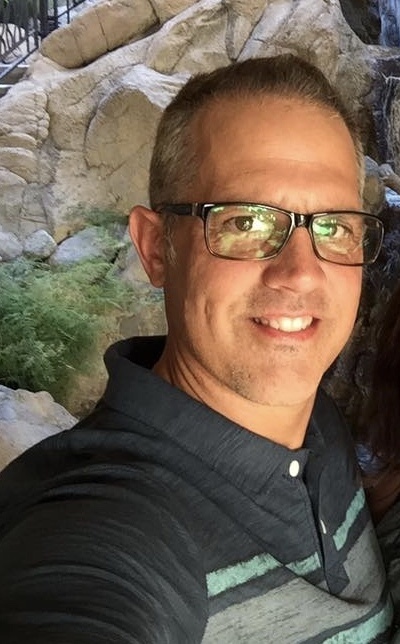 He recently retired from a large technology company and uses the skills he aquired in executive managment to work with and support the pastors in his district, helping them to advance the Kingdom of God. Pastor Glen and Bernie also lead a non-profit organization called Didomi 7+. They are being mentored by John Geissler, who leads Agape Distribution in Sidney, Ohio. The mission of Didomi 7+ is to receive donated products from major corporations and make them available to other non-profit organizations. These ministries are restoring hope to all of those people supported by churches and non-profits in our area. Family- He is married to Bernie and they just celebrated their 28thwedding anniversary. They have been blessed with six children and seven grand-children. Four of their children have completed college and are married, two others are still at home, going into the fourth and fifth grades. Hobbies- Camping, flag football and outdoor activities. Family- Tom has been happily married to Nancy his wife for 46 Years to his teenage sweetheart. He has 3 kids (Joshua, Molly, and Zachary, and 4 grandkids that he adores! Hobbies- His favorite pastime is spending time with his wife, kids, and especially his grandkids. He enjoys bicycling, swimming, exercising, playing guitar & piano, gardening, reading great books, and building project both big and little. 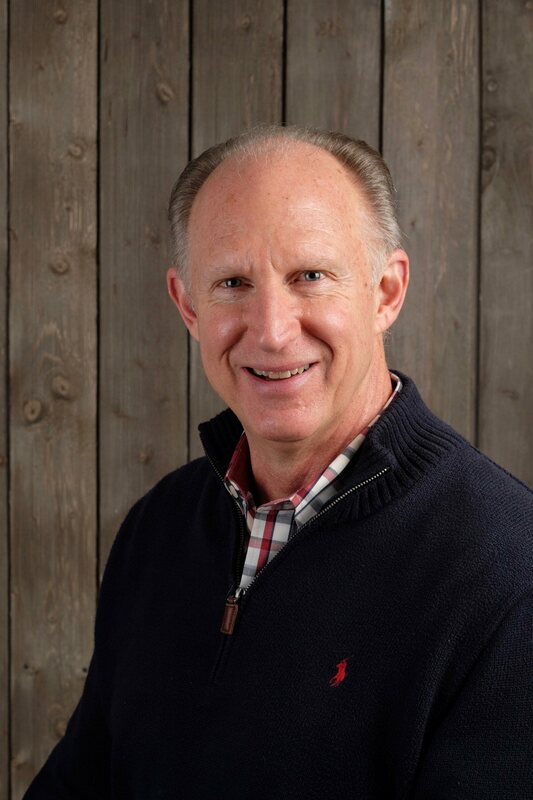 * Tom Rupli is not an active regional board member but is working closely with the regional board as part of the regional leadership team in accessing, mentor/coaching, and developing churches through the NCD process.